Crossing one very long bridge to get to the land of lobster and potatoes that is PEI. 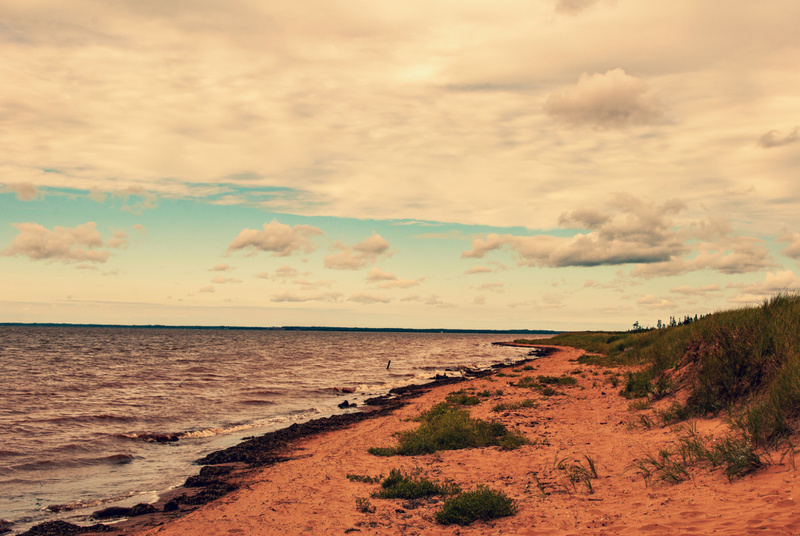 We got spoiled with fresh oysters on red sand beaches in Tyne Valley before hitting the big city in Charlottetown, Prince Edward Island. 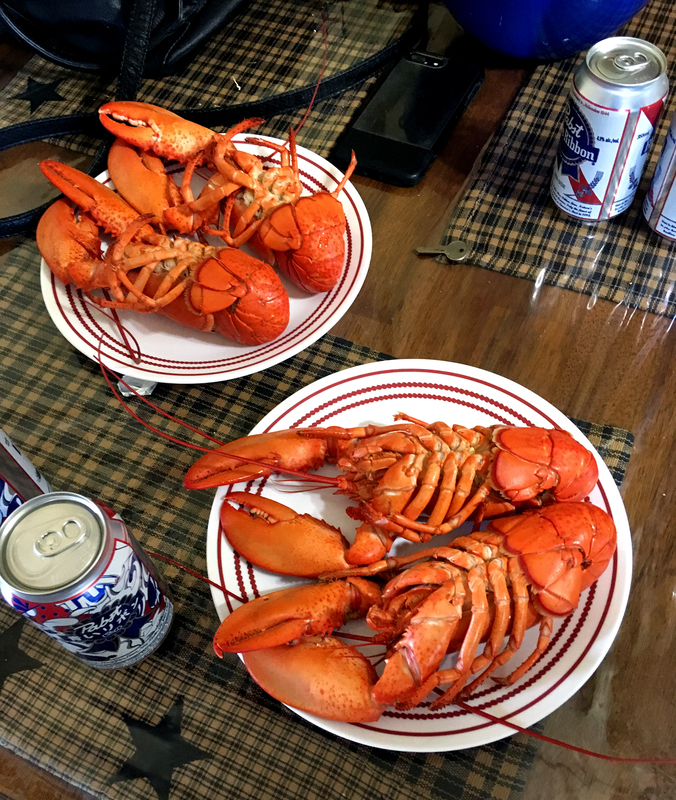 There’s no better way to be welcomed onto PEI than by having two fresh lobsters on your plate within minutes of arriving. After crossing the Confederation Bridge, we headed through Summerside toward Tyne Valley where Justin’s friend had recently moved and was living with some top-notch PEI’ers. People talk about Southern hospitality but East Coast hospitality is where it’s at. Along with fresh lobsters, we were also spoiled with the freshest oysters out there: hand-picked from a private lease of ocean just minutes from home. From living in Toronto so long, we know that PEI oysters are the crème-de-la-crème and come with a crème-de-la-crème price tag to match. At the last bar that I worked at, we charged $18 for a half-dozen raw oysters – that’s $3 per oyster. Out on the fishing boats, our friend’s dad sells a case of 400 for $100 – $0.25 a piece! They were flabbergasted to hear that PEI oysters, specifically Malpeques, were seen as such a delicacy and were equally grossed out to hear that we enjoyed eating them raw. On the mainland, we always think that people on the east coast practically eat raw oysters for breakfast but we soon learned that most of the locals wouldn’t even give you a thank you for a platter of them. As plentiful as the seafood was, the only thing that was even more abundant was the obscene amount of mosquitoes. After being deep in the woods in Northern Ontario and around plenty of ponds and bogs in other places, PEI easily took the crown for the most bugs. 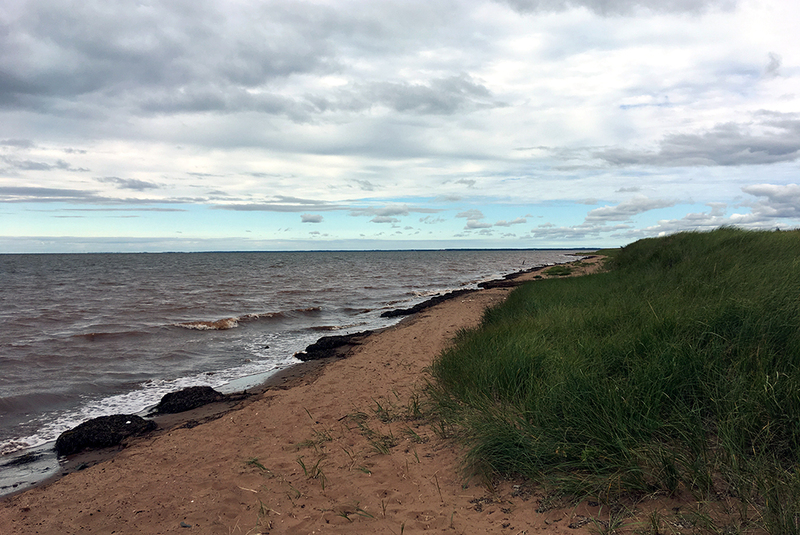 While shooing away hoards of skeeters, we went to a quintessential red sand beach and enjoyed PEI’s beautiful, undeveloped coastline. I had heard that Cavendish is a cool spot to visit but was quickly corrected that it’s really no different than any other beach on the island aside from the fact that it’s littered with shops and food stands, AKA it’s a tourist trap. We were so grateful to get the inside scoop from locals and be taken around to some much more authentic places. 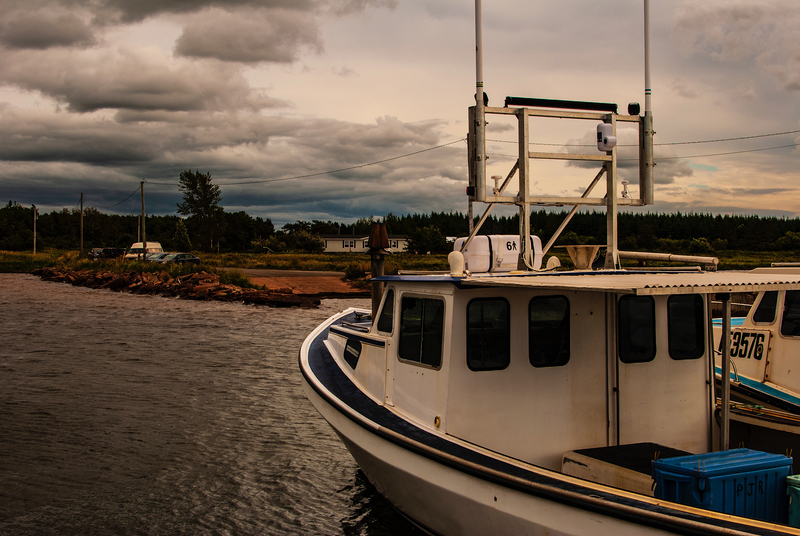 After the beach, we went to the wharf to watch the lobster boats come in and unload the fruits of their labour. It’s funny to see how different people’s daily lives are and see your own job from a different perspective; Justin and I are sat behind computers all day building websites and making graphics while others are out battling the sea. Anyway, we had some local grub called “fries with the works”, which is like a PEI poutine: fries with gravy, green peas and ground beef. That might not sound all that appetizing but it was actually super tasty and filled our bellies before a boat ride out in the ocean. We went for a cruise and even got to collect oysters and bar clams in the shallow waters. We indulged in a spectrum of bar clams by eating them raw, bottled and steamed – all delicious but I think steamed was my favourite. After leaving the Tyne Valley area, we drove the loop of the island, which barely took a couple hours. It’s a beautiful place and is filled with prosperous farms and exceptionally well-manicured lawns; you can tell that the folks take great pride in their farms and it’s nice to see. 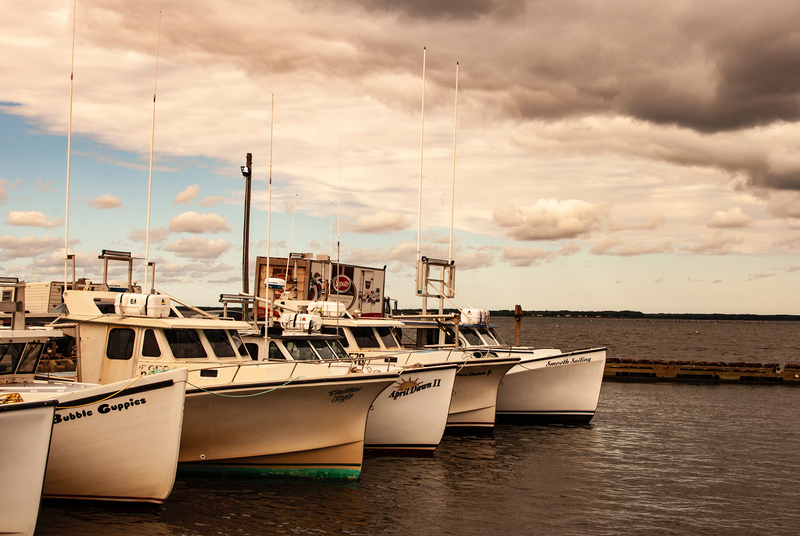 We popped into Charlottetown for a little while and drove around the island’s capital city. It’s definitely the most densely occupied area of the province but still maintains a small town vibe with a lot of character and charm. We were originally going to take the ferry from Wood Islands to Nova Scotia but decided to stick with the bridge to save a bit of time. If you didn’t know (I didn’t), it’s free to get to PEI whether you take the bridge or the ferry, but leaving the island comes at a price. Driving across the bridge into New Brunswick costs $47 and the ferry to Caribou, Nova Scotia is $78. Just a word to the wise so you don’t go blowing all your money on lobster and potatoes and end up having to live on the island since you don’t have the 50 bucks to get off. With Atlantic province #2 off of our list, we were Nova Scotia bound and ready to keep exploring. This would be Clemie’s second last province to conquer and my last while Justin had practically rode in with the Bluenose. Onward!